I was hoping to show photographs today of both the monthly blanket clubs I am in. But I have only managed to complete one of them, so I can show only half. I love this, it is a very satisfying make and flows off the hook. Each month the blanket takes on a new life. I can’t wait for April. 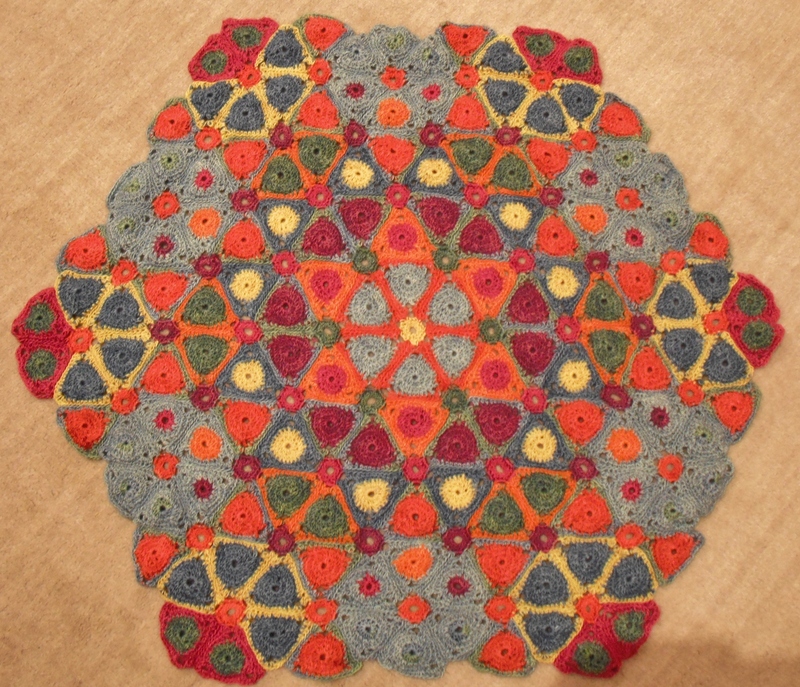 The Jane Crowfoot Blanket is taking a little longer. I have done more than half of March, but it doesn’t flow off the hook quite as quickly. I think the main reason for this is that I don’t like crocheting in cotton in large quantities, I find it hard work and not soft and gentle like wool and silk. So I am resigned to slower progress on this. I will share photos when I have finished March. 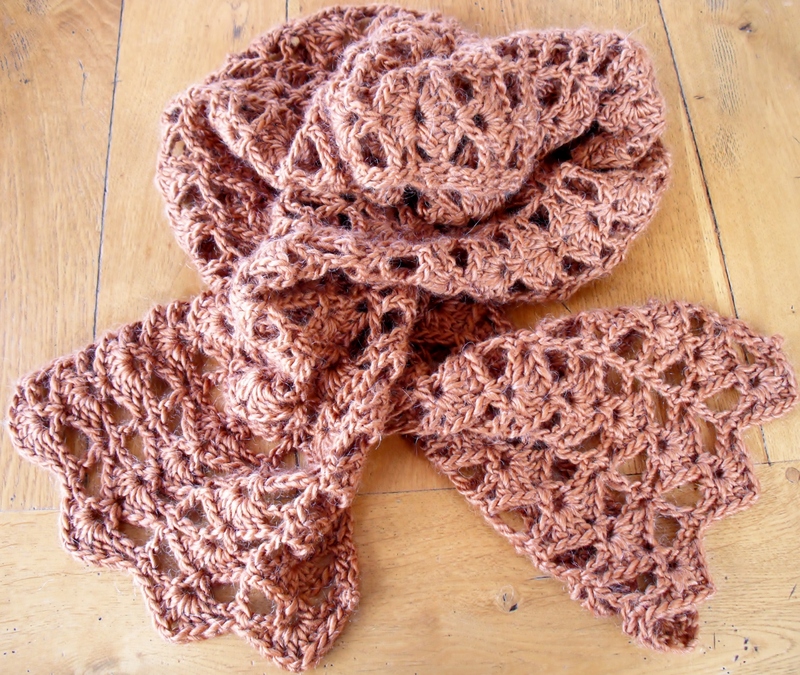 Meanwhile I have found time to publish a quick scarf design which I am calling the January Crochet Scarf. I also have a February Scarf which I have swatched and a March Scarf in my head – this may turn into a regular theme! Your blanket is looking fabulous, Valerie and I love your January scarf, what yarn did you use, it looks very soft and squishy! The scarf is made from Rowan Cocoon, soft and warm, and it’s a bulky yarn which makes up really quickly. It takes only 3 balls! LoL … I am in both of those CALs too … and your Hexagon Club! *sigh* none of which I’ve started, but hoping to start on one soon! I think it needs some steely determination – that is what I am trying to apply !!!! Today I finished the Jane Crowfoot March installment – I need to steam block each piece before sharing the photo, yet more work!